When talking about this kind of program, I always put “international” in quotation marks, because the term is still sort of a marketing catch-phrase in Japan. For example, several high schools and universities renamed themselves “international high school” or “international university,” and started “international studies” majors in the mid-1990s in response to the Ministry of Education’s (MEXT) “internationalization” plan. My own university has several program with the term “international” (koku sai) in the name. The name usually only means “English speaking,” unfortunately. As a former Japanese Exchange Teacher (JET) Assistant Language Teacher (ALT), who was ostensibly part of this “internationalization,” I am naturally suspicious of any program that claims to be international. In my experience, most of the international claims simply mean that there are non-Japanese teachers. The program and administration are often restricted by MEXT guidelines, and the students are usually only Japanese. And, yes, there are a lot of acronyms here. MEXT. JET. ALT. Alphabet soup. So we’ve been pleasantly surprised by the international kindergarten. One of their stipulations for teachers, Japanese and non-Japanese, is that everybody speak English to the students. It’s refreshing to see Japanese teachers use English with students, and the kids do a lot of hands-on activities in English. 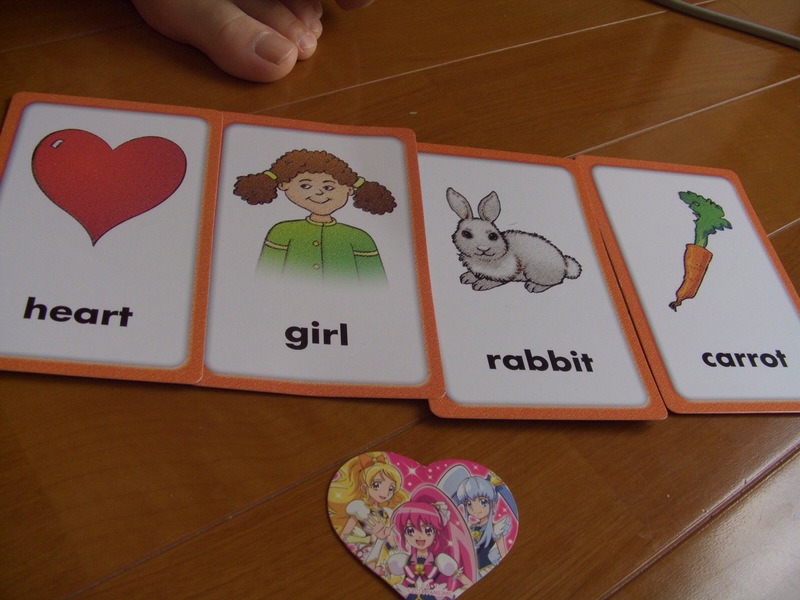 There has been a great deal of controversy in Japan recently over the introduction of English into the elementary school curriculum. Starting this April, 5th and 6th grade English classes will be bumped up from more or less extracurricular activities to full-on subject courses, and English as a club sort of activity will be introduced into 3rd and 4th grades in some schools. Some worry that learning English at a younger age will prevent Japanese students from learning their own language. I heard this very same concern when I visited Singapore a couple years with technical college students, and again this past December at a language conference. But of course Singapore is a completely different learning context from Japan. English is an official language there. It’s not official in Japan. My kids go to a local nursery school run by a Buddhist temple, and there is no English. They are exposed to Japanese all day long, five (sometimes six) days a week. So there is no reason to think that their spoken Japanese will suffer. I think the real concern is about Chinese characters. Japanese newspapers are (in theory) supposed to use only the basic “joyo kanji” (daily use Chinese characters) which numbers just over 2,000. Academic texts and novels of course require many more (the kanji dictionary I have at home has roughly 7,000 characters). That’s an awful lot of characters to memorize compared to just 26 letters in English. To be honest, I’m not terribly concerned about it. My knowledge of the field of bilingualism and bilingual studies is not as deep as other areas of language education, but I don’t think there is any real evidence to support “subtractive bilingualism,” where one language suffers at the expense of learning another. Learning languages at a younger age leads to “additive bilingualism,” where one language supports the learning of another. There are many more bilingual, trilingual, and multilingual people in the world than there are monolingual people, particularly in Africa and South and Southeast Asia. This entry was posted in Japan, parenting, school and tagged English education, internationalization, kindergarten, language learning, wakon yosai. Bookmark the permalink.